Profile of the victim : Tikendra kashyap 20, belonged to an upper caste family while Radha belonged to a lower Balmiki family. They were the residents of Madhawala village Bijnor District in UP. The accused : Mamta’s father and his two accomplices. 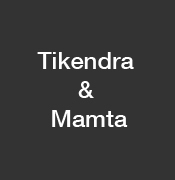 Assassination : Tikendra’s mother Radha alleged that her son was in love with 19-year-old Mamta – a girl from the Valamiki community. The alliance had not gone down well with the girl’s family. She further alleged that Mamta was first poisoned by her family on September 30th. Later, Tikendra was found brutally murdered on the village outskirts.